I started on this project when I first joined KC. It's been about 10 months in the making. I'm so happy and proud that it's finally up and live. Check out Kenneth Cole's complete advertising archive that spans 30 years. Kenneth Cole's 30th Anniversary – celebrating being 30 Years Bold. I was in Minneapolis last week to speak at Target's annual creative off site. Every year the entire inHouse team get to spend a day away from work to be inspired and feed their creativity. The day was filled with speakers, activities, trivia and even a visit from the raptor center. I was honored to be one of the speakers along with Archie Lee Coates IV of Play Lab, Inc. and Dave Schiff of Made Movement. It was truly a pleasure to speak among such distinguished individuals. The Target team were incredibly warm and welcoming. 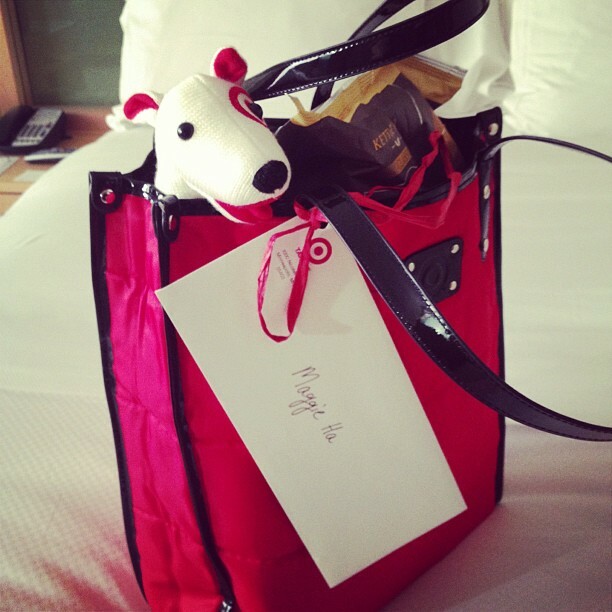 They sent me this gift bag filled with Target goodies and Minnesota treats – thanks Target! I had a fabulous time at the event, I got to meet some amazing people and I even spent some quality time with nature. I was on Refinery29's Month of Working Girls feature today! Check it out! Yes, I did it! I finally launched my new website. A place for things, thoughts, notes, and nonsense.